Our heads are still in dessert mode as we’re put the finishing touches on Polish Classic Desserts. And since this is peach season, these turnovers will make a great dessert for you to try. The recipe is an unpublished favorite of my mom’s (Alina Zeranska, The Art of Polish Cooking, available on Amazon and some better book stores) because they are easy to make and have bold flavors of summer. 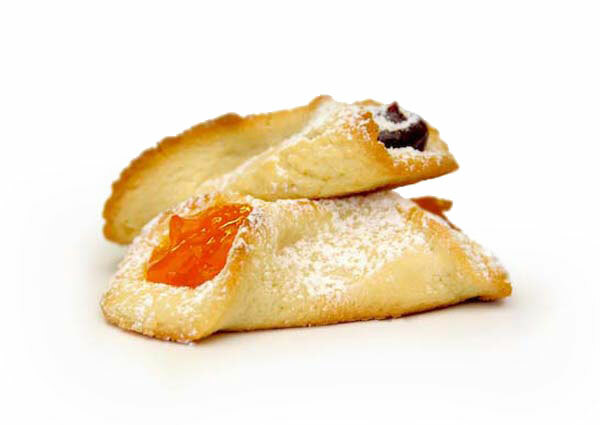 When finished, they look a bit like Kolaczki – the classic Eastern European cookie. 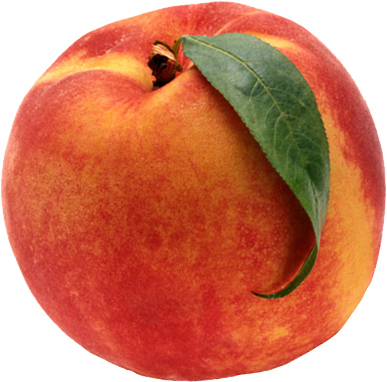 Peaches are a very tasty ingredient when baked into cakes, tarts, or other pastries. Their natural sweetness and soft texture works well with all types of dough and the flavors are easily enhanced when dusted with cinnamon or drizzled with a bit of lemon juice. There are many varieties of peaches, so for baking, always ask for “freestones” or another variety that gives up its pit more easily. Note: these tunrovers also work well with tart apples, apricots or other tree-hanging fruit. Cut the margarine into the flour with a knife and rub in well with your fingertips. Mix the yeast with vanilla and sour cream, and add to the flour. Knead the dough for a few minutes (a standing mixer with dough hooks will makes this task much easier). Roll out the dough into a very thin square - about 1/8th-inch or less. Using a cookie cutter or knife tip, cut into 3x2-inch rectangles. Place a peach slice onto each rectangle and dust with sugar and cinnamon. Lift two opposite ends of the rectangle. Fold over the peach and press together to seal. Using a knife or very thin spatula, transfer the turnovers to a buttered cookie sheet, so that they do not touch. Bake at 375°F for 40 minutes or until golden. Remove from oven, immediately sprinkle generously with confectioners’ sugar. Best enjoyed while still warm. Smacznego! The fishing industry in Poland is growing rapidly as eating fish is becoming even more popular. 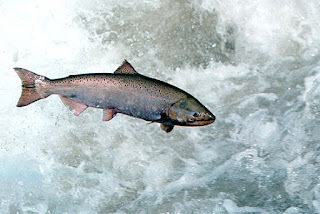 Baltic salmon, as in this photo, is a unique Polish specialty item. Unlike fatty farm-raised salmon, its firm flesh is only slightly pink (after cooking it is nearly white). Whether cooked or smoked, wild salmon provides amazing taste sensations far superior to the farmed varieties. It is available in cans and can be also eaten raw when salted. Have you ever tried Polish canned salmon and what did you think of it? I’ve never tried it but will look for some on the next visit to our favorite Polish Deli. The only prep is to arrange all the ingredients in layers, so how easy is that? On the bottom of a serving platter, spread the potatoes in a flat layer. Second, spread the crumpled salmon for the next layer. Third, lightly spread the mayonnaise over the salmon. Cover with alternating slices of tomato and the egg – show off your wild side and be creative! Sprinkle the chopped green onions, and lastly sprinkle generously with chopped dill. Chill for an hour and serve on lettuce leaves. A glass of dry white wine or fresh iced tea can be a very relaxing accompaniment.